Santa Monica has always been the epitome of Southern California beaches. With over 3 miles of jaw dropping coastline and activities for everybody to get involved in there is no wasted time here. This city’s booming street life and pristine beaches will surely knock your socks off. Trust us when we say that is a good thing. 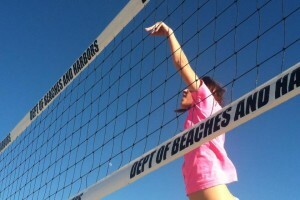 How are you going to play beach volleyball wearing socks anyways? 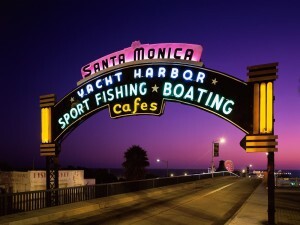 Our Santa Monica tour will cover 2.5 miles around this beachfront city and will take roughly 2 hours. 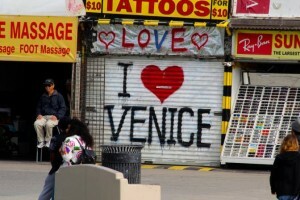 Now Venice is the city you cannot miss when visiting lovely Los Angeles. 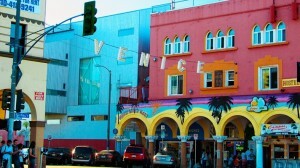 No doubt you have heard of Venice’s famed ocean front boardwalk. Imagine over 2 miles of circus-like performers, artistic murals, abstract graffiti, and eccentric street vendors. If you are one who loves to people watch then you hit the jackpot. However, we will not be doing a lot of sitting around because no matter what your vice may be Venice has it. Our tour is 3.5 miles long and will cover everything from sunny beaches, to mouthwatering eateries, and up through the elegant canals. It will take between 2.5-3 hours to finish. Each tour encompasses 20+ sites and truly captures the uniqueness of each city. Our tours are offered between the hours of 9:00am and 6:00pm on Saturdays and Sundays. How are these tours free? Our hilarious and knowledgeable guides are working on a tips only basis. Don’t worry, your guide would never pressure you for tips. We are here because we want to offer high quality tours for travelers trying to receive a unique experience. We only ask that you tip accordingly to the quality of your tour. Please email RESERVE@WESTSIDESHERPA.COM to schedule one of our outstanding walking tours. *These tours are ranked at a moderate walking level. 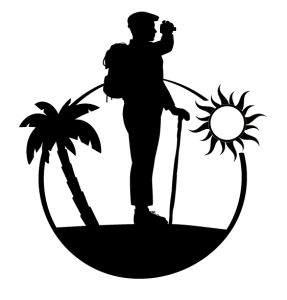 Copyright © 2019 WESTSIDE SHERPA. All Rights Reserved.